- We are looking for sales team for garment accessories business to market in India corporate brands and export/buying house. - Candidate with having experience in getting nominations will be preferred. - Job roll is to market our garment accessories for export and buying house in India as well as abroad and generate business and nominations. - The marketing area will be Delhi NCR, Mumbai, Bangalore. Apply only if you have experience in same trade. - Research and analyze competitors. - Develop and implement building strategy. 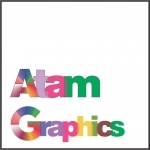 ATAM" Label is India's leading labels manufacturers and suppliers since last 2 decades. We offer our customers a complete branding concept with the emphasis on brand identification and image strengthening. Our services include branding design, total brand management, security and anti counterfeit labelling. Our product range includes Woven labels, Swing Tickets, Barcode labels, Hangtags, leather/PU labels and Care labels, packaging, Metal Labels, Jeans button and rivets, Boxes and Bespoke Packaging.